The chair of the official inquiry into the 2003 invasion of Iraq was grilled by MPs on Wednesday about delays in the publication of his report which mean it will no longer be released until after May’s general election. It’s the first time Sir John Chilcot has been publicly questioned about his work on the report since its inception in 2009. When questioned about the timescale Chilcot reiterated points he had made previously, saying that they were committed to producing a thorough and impartial report, and the delays were primarily due to the process of maxwellisation - allowing those who had been criticized to respond. He also announced that there were now whole classes of government information that were previously kept secret that were now being published as a result of pressure from the inquiry, suggesting it the report will be a landmark of Whitehall openness. The inquiry, however, is reportedly still undergoing negotiations with Whitehall about how much of the sensitive material in classified documents can be made public. Chilcot did not, as predicted, give a publication date for the report, but assured the committee that to his knowledge eye-witnesses were not deliberately delaying progress via maxwellisation. In January, Chilcot said there was no “realistic prospect” of the report being released before the general election; an announcement which was met with anger from MPs and the public, who say the report must be published immediately. The inquiry last took evidence in 2011 and is expected to be over a million words long. 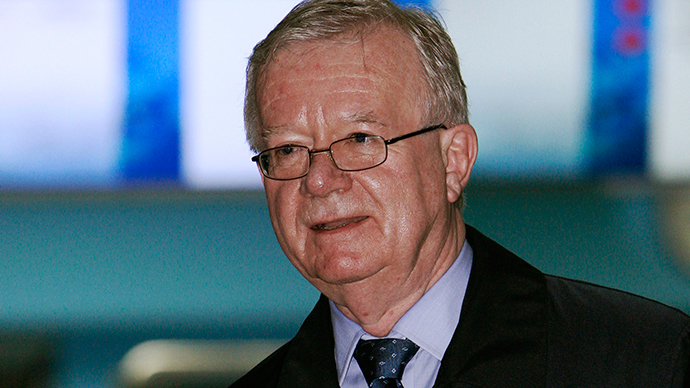 “This is an opportunity for Sir John Chilcot to set out the reasons for the delay,” he told Radio 4's Today program. In January Chilcot offered some indications for the delay. “To ensure that the conclusions we reach are well-founded it is essential that our approach should be rigorous and comprehensive,” he said. Speaking to RT, Labour MP and Stop the War Coalition supporter Jeremy Corbyn slammed the ongoing delay.